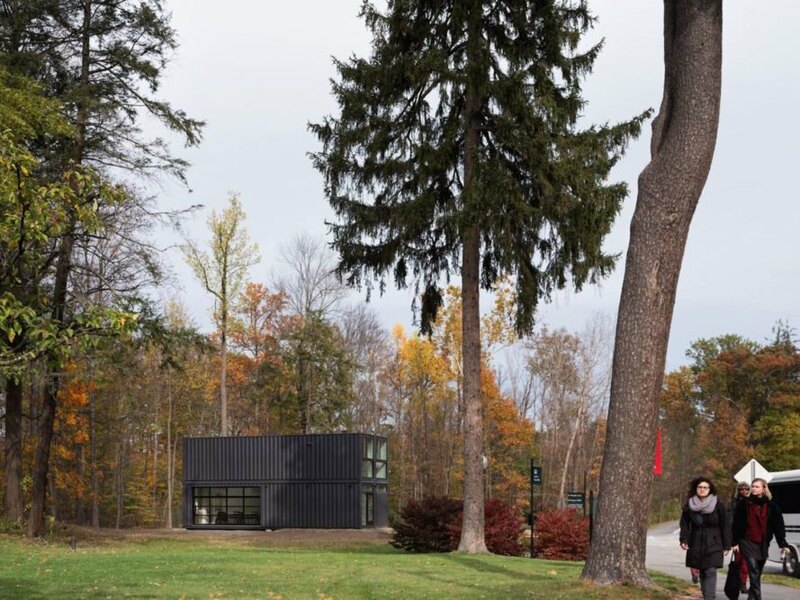 Four recycled shipping containers have found a new lease on life as Bard College’s new media lab in upstate New York. MB Architecture’s solution is quick, affordable, and modern – and it has the added benefit of a folding glass door that blurs the boundary between indoors and out. 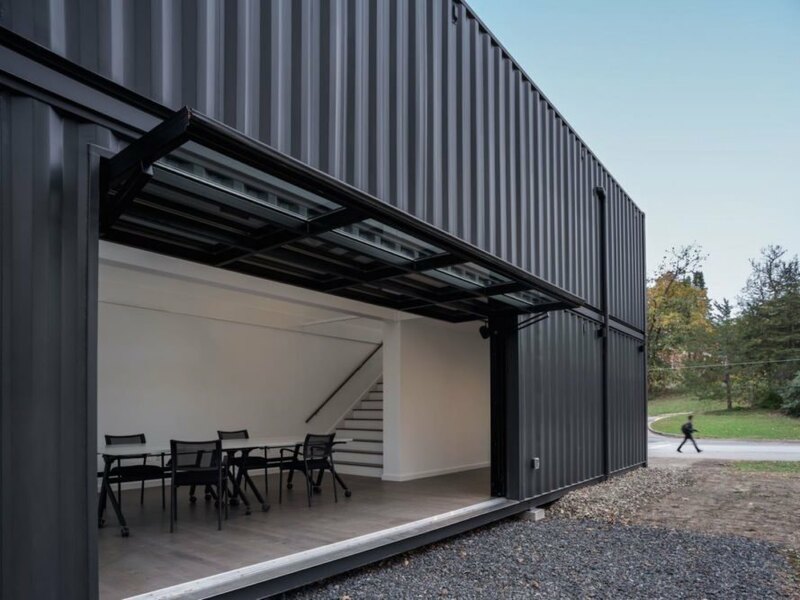 Prefabricated offsite, the Bard College Media Lab was installed in just half a day and it was fully operational within a few weeks. Located in the middle of campus near a Frank Gehry concert hall, the 960-square-foot media lab cost slightly over $200,000 for prefabrication, delivery, and installation. The four shipping containers were stacked into a single blocky monolith with the exterior painted matte black. While the corrugated sides were retained—perhaps as a reminder of the building’s industrial past—large glazed panels punctuate the building to bring in views of the outdoors and create the illusion of spaciousness inside. Flexibility was built into the design of the lab, which will be shared by different college departments. 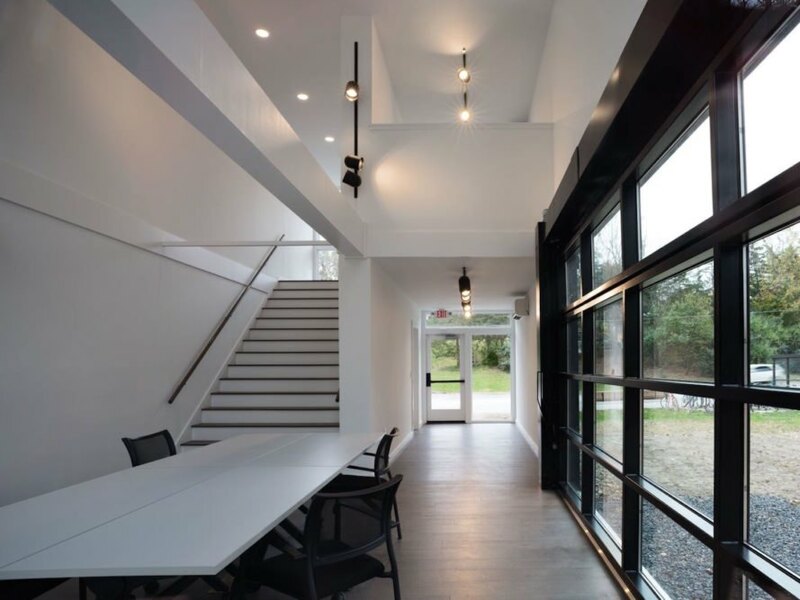 The first floor comprises multiple entrances, a bathroom, and a double-height meeting room that opens up to the quad through a large pivoting garage door. By opening up the interior to the outdoors, the room can be used as a stage for performances, concerts, and theatrical events. An office is located on the second floor. 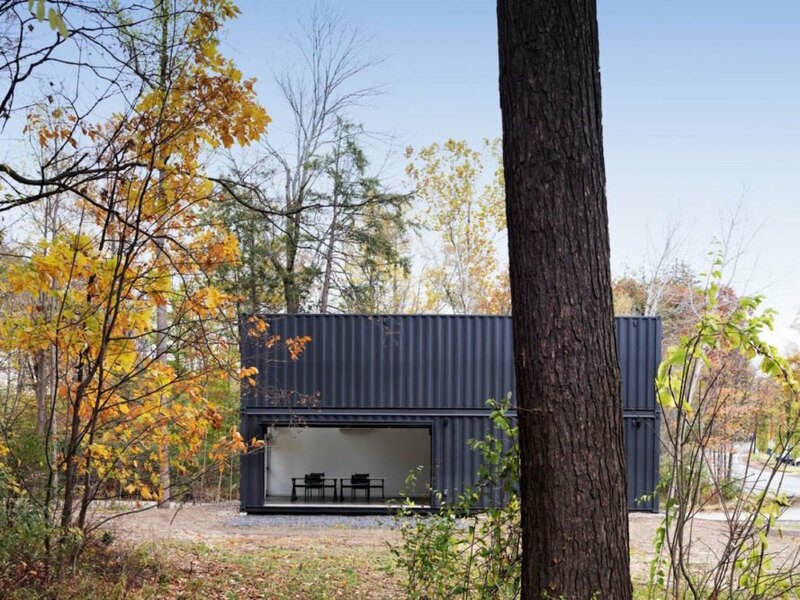 Four recycled shipping containers have found a new lease on life as Bard College’s new media lab in upstate New York. 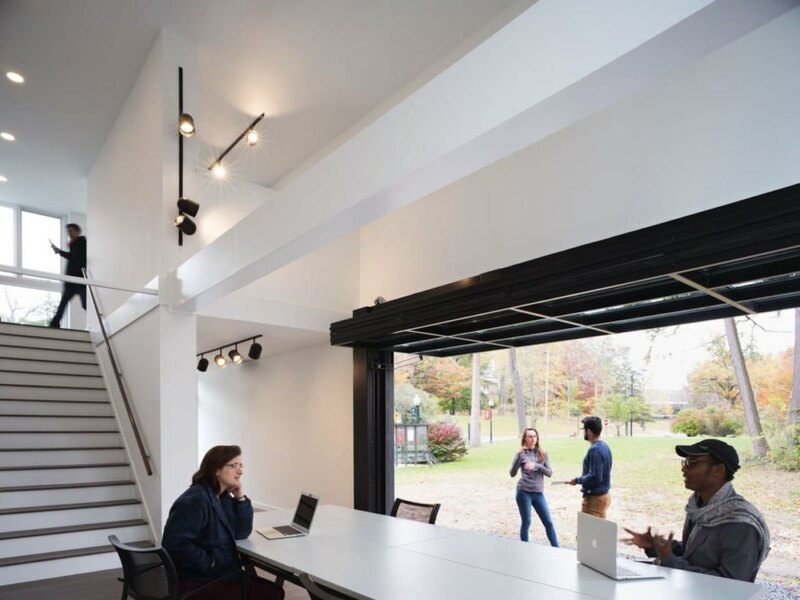 Quick, affordable, and modern, MB Architecture’s speedy lab solution for the Bard College Department of Experimental Humanities has the added benefit of a folding glass door that blurs the boundary between indoors and out. Prefabricated offsite, the Bard College Media Lab was installed in just half a day and fully operational within a few weeks. Located in the middle of campus near a Frank Gehry concert hall, the 960-square-foot media lab cost slightly over $200,000 for prefabrication, delivery, and installation. The four shipping containers were stacked into a single blocky monolith with the exterior painted matte black. While the corrugated sides were retained—perhaps as a reminder of the building’s industrial past—large glazed panels punctuate the building to bring in views of the outdoors and create the illusion of spaciousness inside. Flexibility was built into the design of the lab, which will be shared by different college departments. The first floor comprises multiple entrances, a bathroom, and a double-height meeting room that opens up to the quad through a large pivoting garage door. By opening up the interior to the outdoors, the room can be used as a stage for performances, concerts, and theatrical events.